Gelatin is also known from various names such as Gelatine, InstaGEL, Gelatina, Vegeta, Collagen Hydrolysate, Collagène Hydrolysé, Collagène Dénaturé and Collagène Marin Hydrolysé. It is a colorless, translucent, brittle and flavorless food which is derived from collagen found in various body parts of animal. It is used as a gelling agent in food, vitamin capsules, pharmaceutical drugs, cosmetic manufacturing and photography. The substance which contains gelatin or has similar function is known as gelatinous. Gelatin is the mixture of proteins and peptides produced by partial hydrolysis of collagen being extracted from bones, skin and connective tissues of animals such as fish, pigs, chicken and cattle. 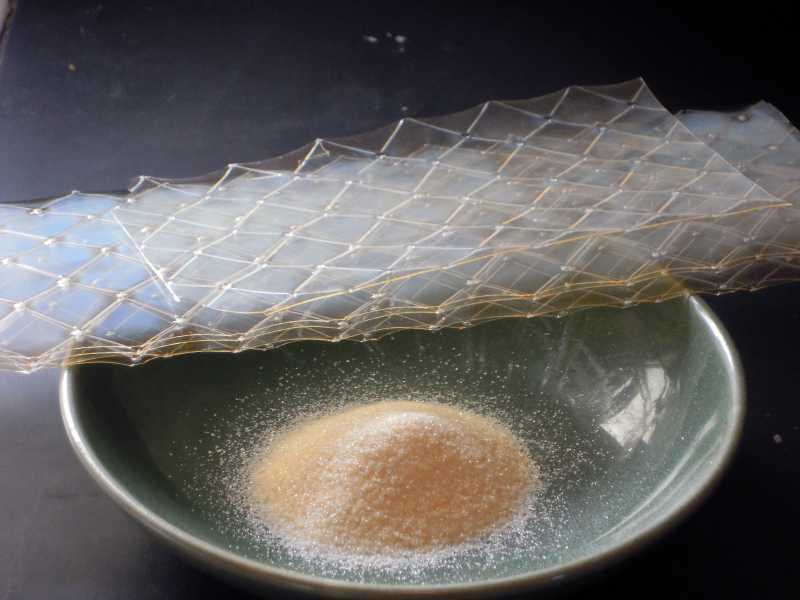 Gelatin is irrevocable hydrolyzed form of collagen where hydrolysis results in lowering protein fibrils into smaller peptides that have broad molecular weight ranges related with chemical and physical methods of denaturation based on hydrolysis process. The natural molecular bonds between individual collagen strands are broken into form so that it rearranges more easily during hydrolysis. It has hydroxyproline, proline and glycine in its polypeptide chain. Gelatin dissolves in hot water and sets to gel on cooling. It does not dissolve well when added to cold water. Gelatin gels have mechanical properties which are very sensitive to variations of temperature. The gels exist over a range of small temperature. The upper limit of gel’s melting point is less than 35 °C (95 °F) and lower limit is the freezing point at which an ice crystallizes. Usually, it is found in gummy candy, gelatin desserts, marshmallows, dips, ice creams and yogurts. Gelatin could be found in the form of sheets, powder and granules. Instant types are added to food as they are and others are required to be soaked in water before. Gelatin was firstly used in foods is faceted to Medieval Britain during 1400s when hooves of cattle were boiled for producing gel. In 1754, the commercial development leads to the issue of British manufacturing patent. 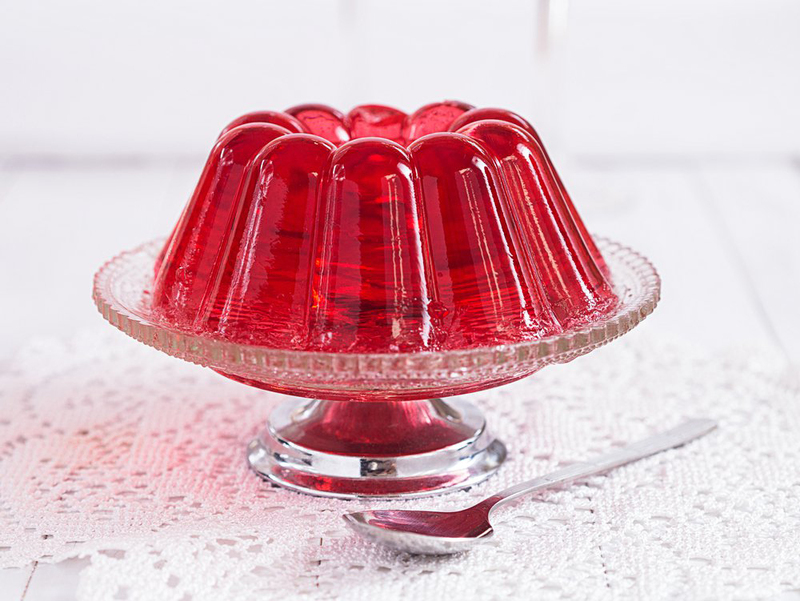 During 1800 to 1900, food applications in USA and France resulted versatility of gelatin which include its origin of popularity as Jell-O in USA. Charles and Rose Knox of New York over middle late 1800s manufactured and advertised gelatin powder which diversifies the applications and appeal of gelatin. Similar to collagen, gelatin is helpful to prevent intestinal damage and promote lining of digestive tract by preventing leaky gut syndrome and permeability. Gut lining is the important line of defense which keeps particles from food, yeast and bacteria inside digestive system where it belongs and prevents leakage into bloodstream that triggers inflammation. It promotes the ability for producing adequate secretion of gastric acid which is essential for nutrient absorption and proper digestion. 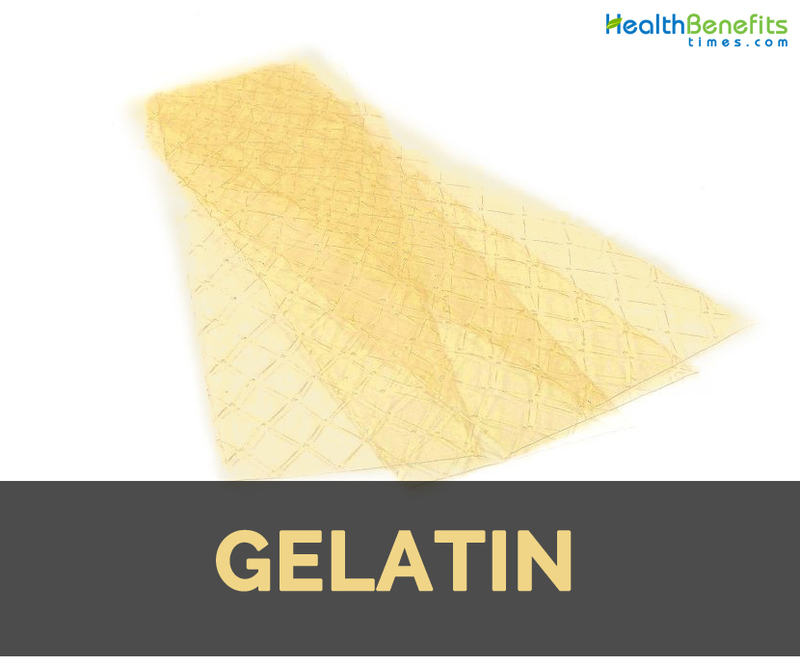 Gelatin has glycine which is essential to restore healthy mucosal lining in stomach and facilitate by balancing stomach acid and digestive enzymes. Insufficient amount of enzymes could cause digestive problems such as acid reflux, nutrient deficiencies, anemia, indigestion and bloating. Older people experience digestive problems as essential digestive juices are reduced during aging process and aggravate by increased stress. 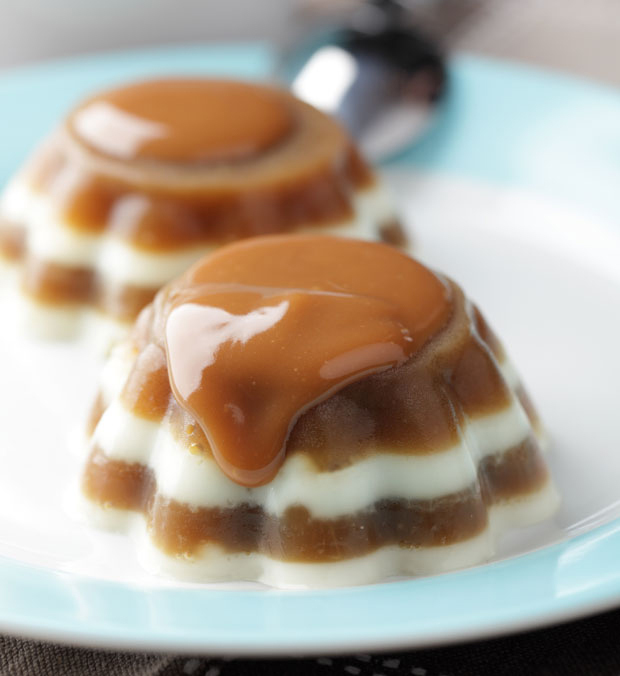 Gelatin helps to absorb fluids and water that prevents bloated stomach and fluid retention by promoting constipation. Gelatin and collagen helps to ease symptoms of rheumatoid arthritis and osteoarthritis. Osteoarthritis is the leading cause for joint pains. When people ages, they develop aches, stiffness and limited mobility which could worsen over time because collagen continues to erode and break down. Collagen and gelatin lowers pain and prevents progressive disease that could result in impairment in joints i.e. degenerative joint disease. Research has shown that people with joint pain, osteoarthritis and bone related problems such as osteoporosis and exercise associated injuries and soreness could be helpful for supplementing gelatin. People with gelatin helps to lower pain and inflammation in muscles or joints and improve athletic abilities. Study shows that gelatin is found to be helpful for people having problem in asleep. It improve the quality of sleep and daytime cognitive functions, daytime sleepiness and sleep efficacy. It also shortens the time to fall asleep and promote slow wave sleep without change in normal sleep. Amino acid glycine is regarded as inhibitory neurotransmitter that acts as antidepressant and anti-anxiety medications. Glycine is used to boost calmness and mental clarity. Some amino acids help to reduce stress hormones such as norepinephrine and promote happy hormones such as GABA. Glycine is used by half of inhibitory synapses in spinal cord. 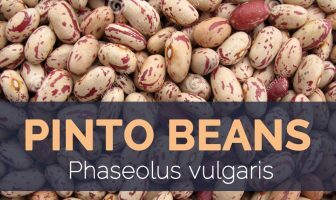 Research concluded that when not metabolized properly, glycine results in increasing chances of developmental problems, mental retardation, seizures and lethargy. The consumption of gelatin could enhance the appearance of skin and assist rejuvenation of cells. Collagen is the vital building block for skin that grants a youthful and healthy skin. Gelatin is essential for renewing process of cells and prevents UV light damage to the skin, prevent free radical damage, skin cancer and wrinkles. The depletion of collagen is responsible for developing signs of aging. When the collagen starts to lose, skin starts to develop cellulite, fine lines and loose skin as the skin loses its firmness. 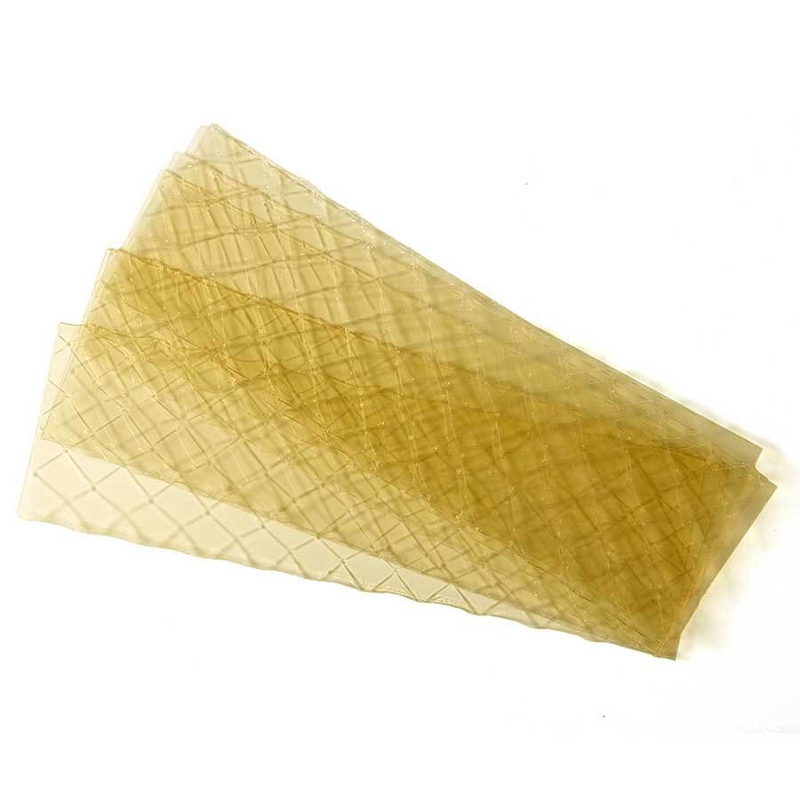 The consumption of gelatin assists in stimulation of new and non-fragmented collagen, restore durability of skin and maintain nails, hair and teeth. Bones helps to supply nutrients by maintaining strength and density. It has adequate nutrients such as magnesium, calcium, silicon, phosphorus, sulfur and silicon that assist in forming bones and prevent bone loss and fractures. Gelatin is used as therapeutic agent to treat osteoporosis and osteoarthritis. Studies show that supplements of gelatin promotes satiety and also control hunger hormones. It is also proved to be effective in losing weight due to its ability to increase satiety hormones such as leptin and reducing appetite hormones such as ghrelin. Gelatin is a great source of amino acids and is a complete source of protein which refers that all the metabolic activities in the body are enhanced with the consumption of gelatin such as eliminating unhealthy cells, creation of new cells, proper absorption and usage of nutrients, increase in muscles and other various functions in the body. Due to low fat dogma, people get much lean protein in diet. The addition of gelatin to the meals helps to remedy this imbalance. Excess amount of lean protein could be pro-inflammatory but gelatin offers glycine and proline that balances cysteine and tryptophan. Gelatin contains glycine which is an amino acid that regulates insulin and prevents hypoglycemia. It assists body in producing glutathione that is essential for eliminating excess estrogen. Surplus estrogen is derived from various sources such as environmental pollution, toxic body care products and diets rich in processed foods and use of hormonal birth control methods. Some individuals might be hypersensitive to bovine or cow gelatin products. When consumed they might experience symptoms such as hives, itchiness, breathing difficulty and dizziness. So seek medical attention immediately. Gelatin can cause heaviness in the stomach, heartburn, bloating, and belching. The topical application of products containing gelatin such as shampoos or skin care products could result contact dermatitis or mild rash. The supplements of gelatin could affect kidney and liver function. 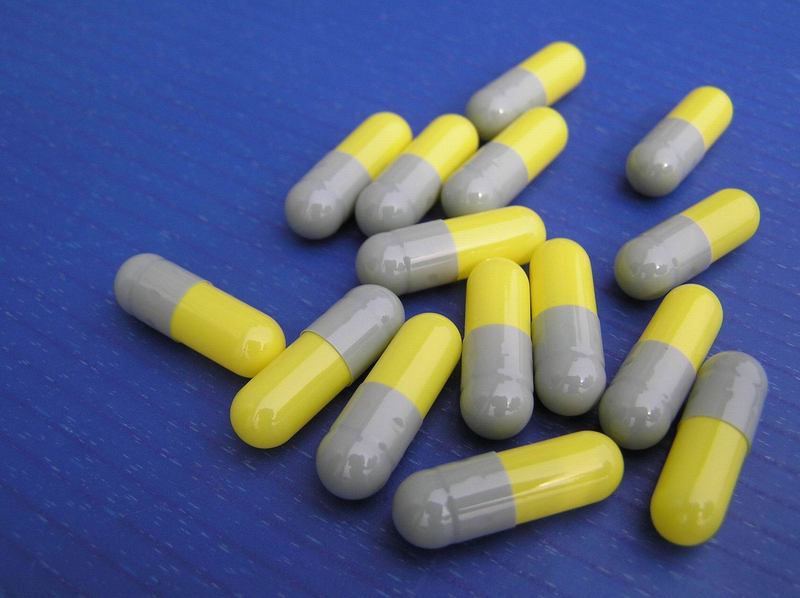 Gelatin capsules causes kidney and liver to function harder to eliminate or break down protein. People with kidney or liver problems should consult doctor before using gelatin capsules to prevent worsening of existing situation. Gelatin can cause heaviness in the stomach, heartburn, bloating, and belching. Pregnant and breast feeding women should avoid it due to lack of information. Gelatin is used in gummy candy, gelatin desserts, marshmallows, dips, ice creams and yogurts. Use it as a gelling agent in cooking. 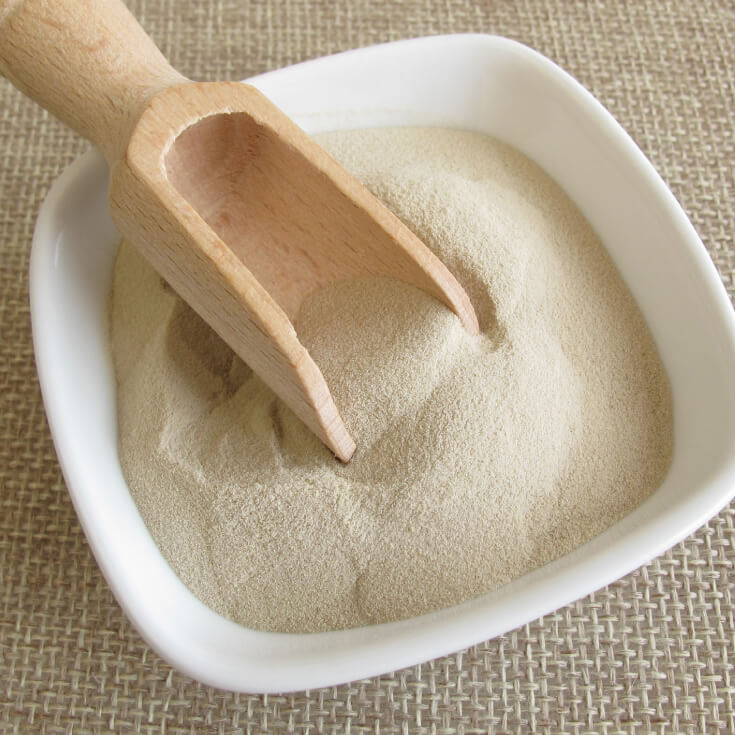 It is used as a thickener, stabilizer or texturizer in foods such as cream cheese, yogurt and margarine. It is also used for clarifying juices such as apple juice and vinegar. 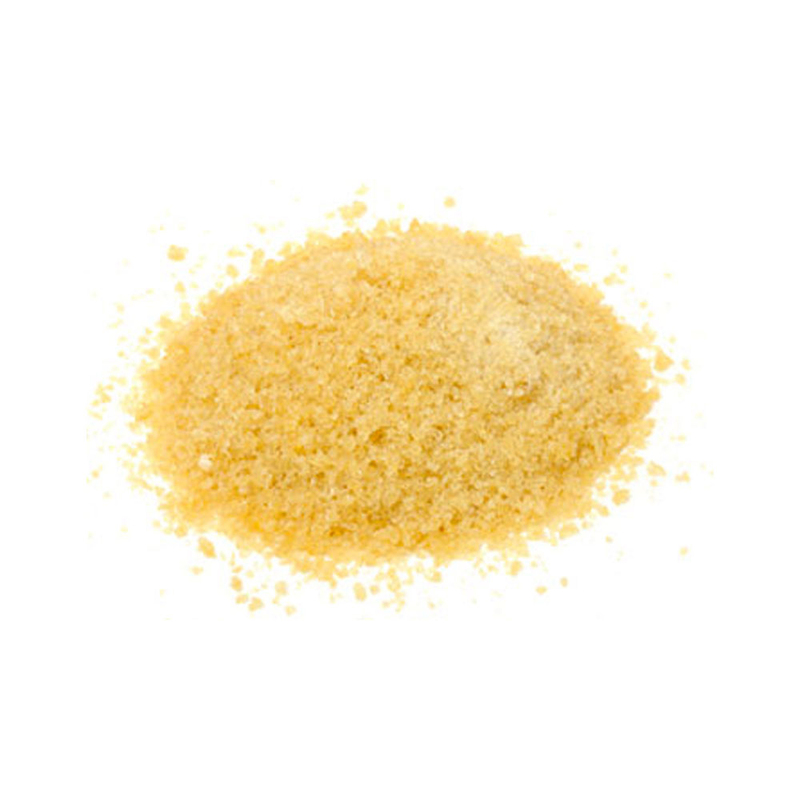 Gelatin powder could be mixed into broths, soups and stews. It could be found in the form of granules, sheets or powder. 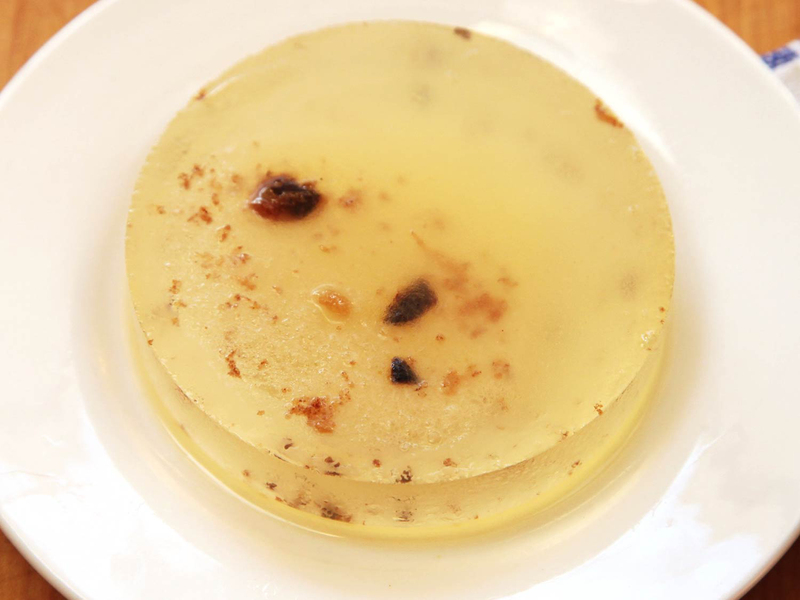 It is used in molded desserts and also to thicken cold soups. Gelatin is a type of protein derived from collagen and is found in animal parts that provide essential amino acids. About 98 to 99 percent protein is made by dry weight. 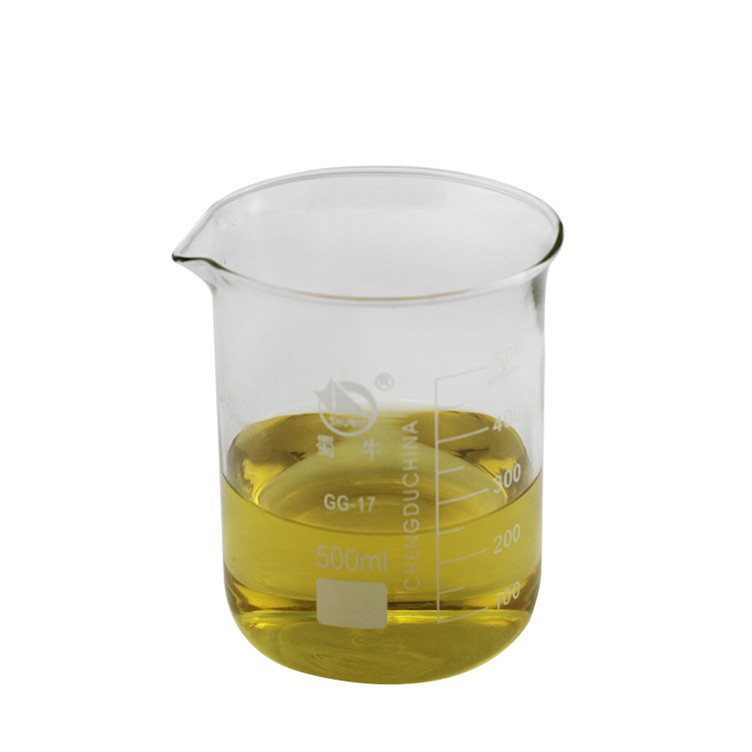 It is used in medications, food products and cosmetics as gelling agent. Calories in 1 package (3 oz), 85 g 324 Kcal. Calories 23 Kcal. Calories from Fat 0.09 Kcal.